Read about three animals featured in Planet Earth 2 that we think deserve at least an A+ rating. Forget making an elaborate homecoming proposal this year, it will never compare to a Bowerbird’s declaration of love. In order to seduce a female, the male bowerbird creates a structure of sticks and twigs and decorates it with colorful items found in the surrounding area. If a female deems his creation stunning enough, she will humbly accept his love proposal and get to business in the bower with her new lover. Found in Papua New Guinea and Australia, the Bowerbird is unparalleled in creativity and skill with the ladies. As the rarest flamingo in the world, the Andean flamingo not only impresses with its colorful plumage, but also with its unique behavior. 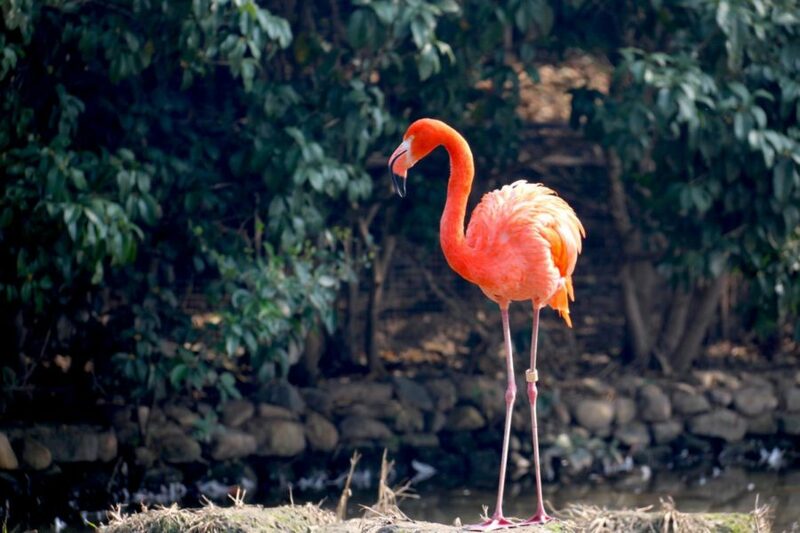 Andean flamingos breed high in the Andes Mountains of Peru and Chile, typically around or above 10,000 ft in elevation. During the mating season the flamingos march in large groups bobbing their heads in search of a mate. Viscachas’ extreme cuteness lands them in the top few A+ animals. As some of the chubbiest animals in the southern Andes, viscachas simply bathe in the sun and munch on seeds and vegetation. Resembling a large rabbit, Viscachas are fluffy, chubby, and sport a curly tail to finish off their look. Marine Iguanas may not be the most visually appealing creatures, but they command our utmost respect for their homage to sea after hatching in sand infested with hungry snakes. Hatchling iguanas emerge from the Galapagos island sand only to be greeted with hundreds of racer snakes which relentlessly chase the hatchlings as they sprint to the shore where they can’t be reached by the snakes. Many of the Iguanas don’t make it to the water and are snatched up by snakes, but those that do live out their days happily munching on algae and swimming in the Galapagos waters.